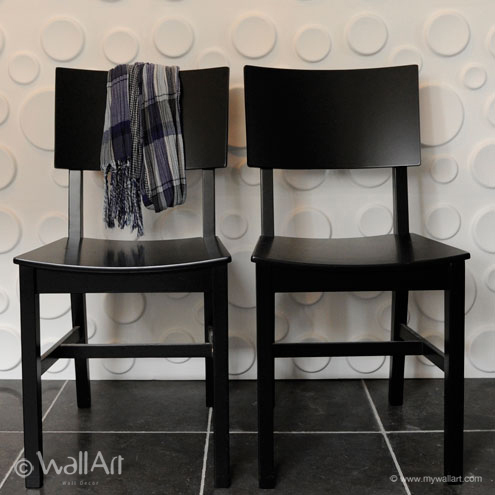 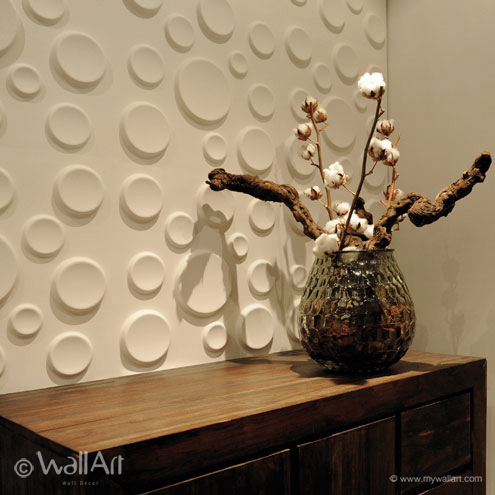 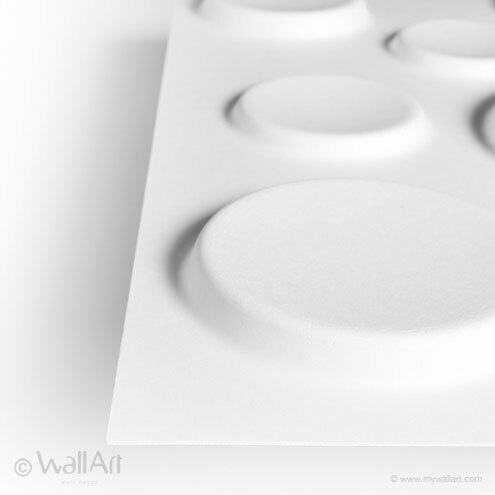 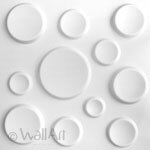 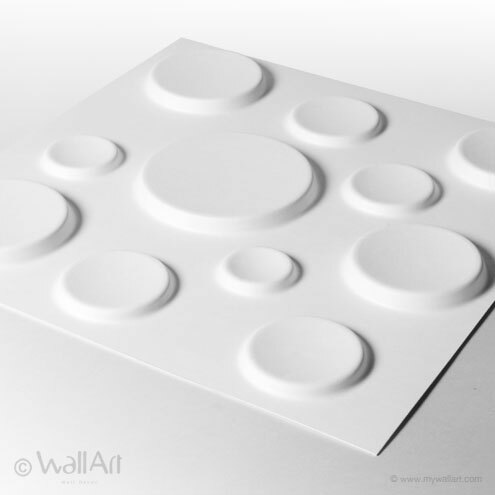 Craters, an elegant 3d-wallpanels design that consists of circles in various dimensions. 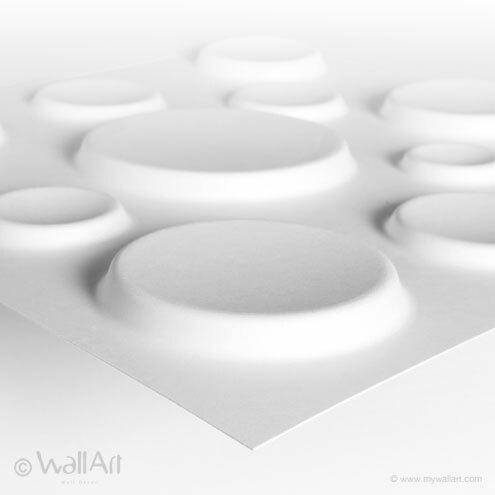 They also look a lot like bubbles! 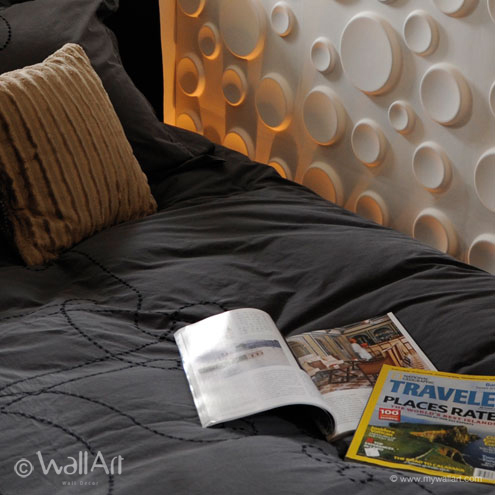 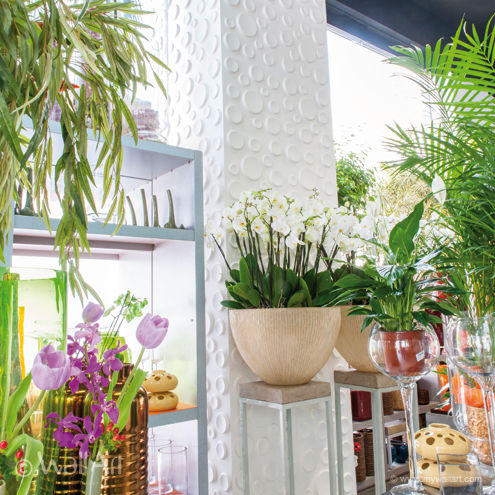 The 3d-wall-decors give your wall a 'fizzy' effect.